1, the australian water tanksmaterial stable physical and chemical properties, the water quality pollution, ensure that water quality clean sanitation. 2, water tank of high strength, light weight, neat, beautiful and elegant appearance. 3, the surface of australian water tanksÂ is bright and clean and beautiful, and easy to clean. 4, superior corrosion resistance, good seal performance. 5, shock resistance, seismic performance is strong.Stainless steel water tank is suitable for large hotels, office, apartment, scientific research teaching building and food processing, medical and health, and places higher requirements on water quality in the electronics industry. Our company consists of a number of experienced senior welders and composite materials manufacturing ability of established in the senior engineer, is set product development, design, manufacture, construction and service in a body specialized production enterprise. In recent years, our factory has invested a huge sum of money to purchase a large hydraulic machine, shearing machine, bending machine, punching machine, plasma, air compressor, argon arc welding machine, welding machine. The small business development into a large-scale comprehensive enterprise. 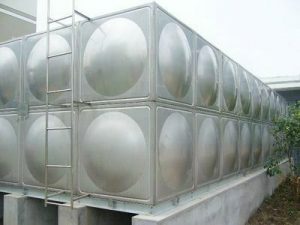 Specializing in the production of stainless steel, glass steel water tank and australian water tanks, with its novel appearance, durable, clear, and the water quality fully enclosed, no pollution, its lightweight, corrosion resistance, high temperature resistant, easy to clean.